I often receive emails and FB messages with links to online yoga articles, asking my thoughts on the content. This is great, because it keeps me up-to-date on the ins and outs of the contemporary yoga scene. One thing that becomes obvious reading these articles is that there are a lot of absolutes in the yoga industry. 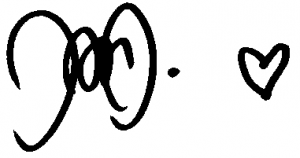 Depending on the trend something should always be done or never be done. I personally find this hilarious, as one of the main teachings in yoga is to overcome the illusion of polarities. Everything doesn’t need to be black or white. It’s great to bear in mind that between black and white exists the full spectrum of colours, and in yoga teaching the opposites ends of the spectrum can even co-exist. This of course makes yoga teaching more challenging, as we need to cue from what’s in front of us, rather than using one-size-fits-all cueing. The most recent question I received was about whether or not to ‘tuck the tailbone under’. I love the question, so here are some thoughts that I hope you find useful in your practice. What does tucking the tailbone mean? Coccyx, commonly known as tailbone, is a bone comprised of 3-5 fused vertebrae attached to the sacrum at the end of the spine. The cue to tuck the tailbone under simply attempts to give a visual cue of bringing the base of the spine down and lengthening the lumbar spine that is so commonly shortened and compressed. It doesn’t however ask to move the tailbone independently from the pelvis; so when in yoga we talk about tucking the tailbone, the cue is to move the entire pelvis backward. This is where things get interesting. When we cue a pose where the goal is to maintain a neutral spine, do we cue to tuck the tailbone under? The answer is yes and no depending on the person, the posture and the potential compensation in the pose. But if the pelvis is in a common anterior tilt (as shown below), where the lumbar curve is excessive, the cue to tuck the tailbone under helps return the lower back to its natural curvature. In this case rather than causing imbalance, the same cue not only helps remove lower back pain related to lumbar compression, but also helps lengthen the tight hip flexors, tone the sagging abs and legs by unlocking the knee hyper extension associated with the ’tilted posture’. If the pelvis is already neutral (as shown below) and you try to tuck the tailbone under, the pelvis tilts excessively backward, causing a ‘tucked posture’, where the lumbar curve is flattened out. This posture is accompanied by rounded upper back, slumping shoulders, as well as tight hip flexors and hamstrings. In this case the cue to tuck the tailbone is not beneficial, but instead causes imbalance. Has the lumbar spine extended due to an anterior tilt of the pelvis, posterior tilt of the ribcage or both? Let’s look at my lunges, where the green boxes are simplified tilts of the pelvis and ribcage. In the ideal lunge, the spine is neutral, as shown in the first image. The second image shows what commonly happens; the lower back extends due to tight hip flexors pulling the pelvis forward, as well as limited shoulder mobility tilting the ribcage back. 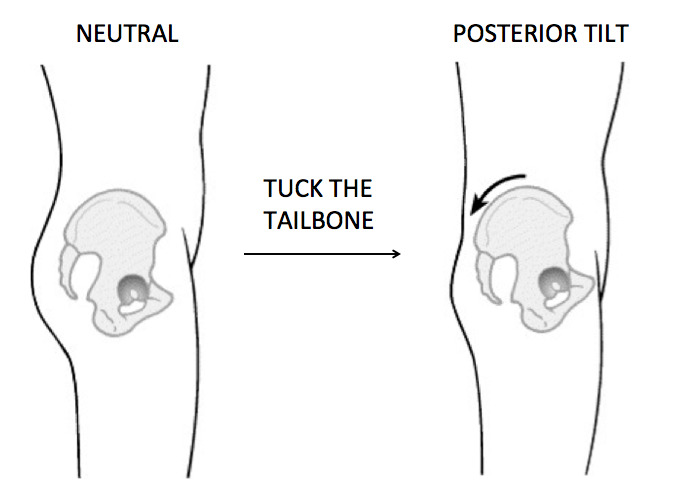 The cue to tuck the tailbone under can be used to correct the misalignment of the pelvis, but not the ribcage. If we try to correct a misalignment of the pelvis, it’s indeed a good idea to move the pelvis. But if we try to correct the misalignment of the shoulders and ribcage, moving the pelvis isn’t helpful. 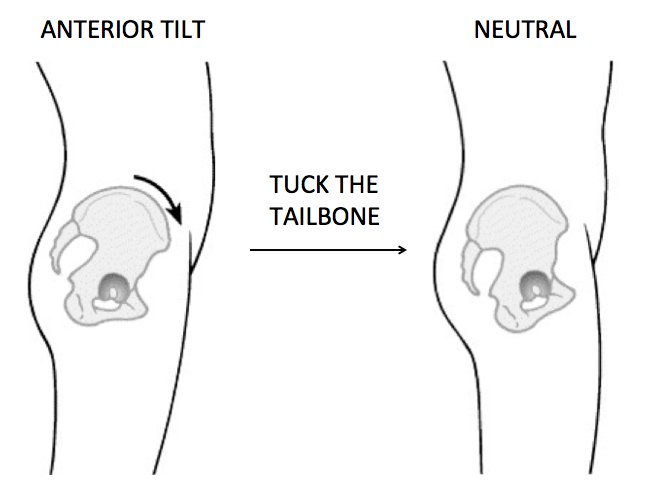 To sum up, it’s still valid and ok to tuck the tailbone or pelvis under to correct an anterior pelvic tilt. But we shouldn’t tuck under all the time or in all poses. Pay close attention to poses where the arms are raised over the head to understand whether the pelvis has tilted forward, in which case you can tuck it under to restore the neutral curvature of the spine, or whether you observe the ribs flaring out, in which case you can simply draw the ribs down rather than tucking the tailbone under.